I’m not exactly a liberal, so sometimes NPR rubs me the wrong way. 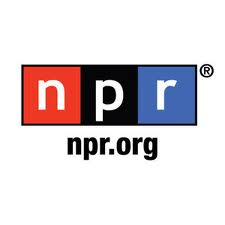 However, NPR does in-depth coverage of issues that only get sound-bite treatment from other sources, so I’m a regular listener. Occasionally NPR will cover some issues that no one else seems to want to cover. Recently they investigated why the number of people receiving Social Security Supplemental Security Income (SSI – also known as disability payments) nearly doubled over the past 15 years. It turns out that there’s a whole industry dedicated to getting people disability payments. Who’s a big customer? State governments some of which pay thousands of dollars for each person moved from welfare (a state funded program) to disability (a federally funded program). Today NPR had a piece describing how in a matter of 30 seconds Congress (the same Congress who can’t seem to agree on anything) passed a bill and got it signed by the President. Of course, this was a SPECIAL bill. A VERY SPECIAL BILL. This bill canceled many of the provisions of the law that made congressional financial trading more transparent. The original bill made it possible to see how lawmakers invest their largesse. Did Senator Whatsisname own stock in the pharmaceutical industry before voting on a bill that benefitted drug companies? The original law was intended to make it possible to find out. The thirty second bill fixed that. In the recent past I wished Congress could get along and get things done. Now, I’m not so sure. This entry was posted in Business, Communications, Culture, Education, Future, Government, History, Leadership, Media, People, Philosophy, Politics, Taxes and tagged congress, Disability, dishonest, ethics, gaming the system, Law, NPR, Social Security, Supplemental Security Income, unethical, United States, United States Congress. Bookmark the permalink.